Marled knitting is one of the simplest types of colour work there is – two strands of yarn of different colours held together while knitting, the resulting fabric has a random speckled texture effect. Over the last few months we’ve noticed a lots of marled patterns appearing and we think it will be a big trend this year. 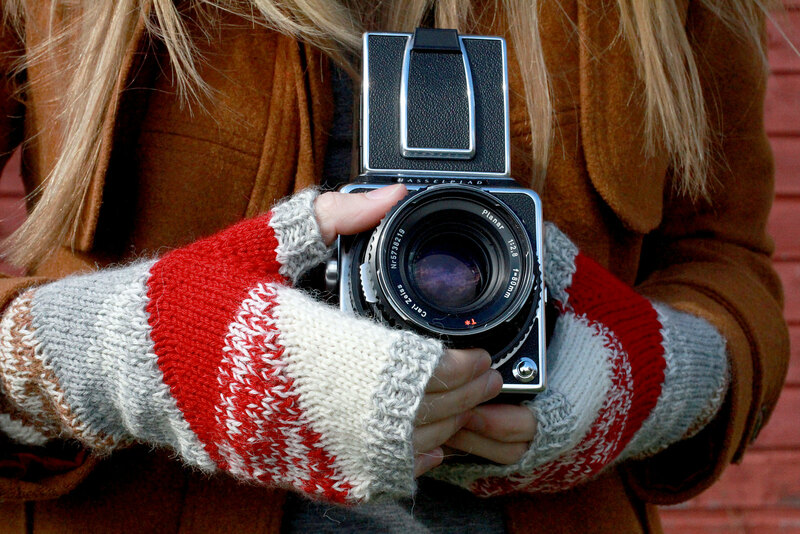 Our Cauldhame scarf pattern combines marled knitting and intarsia using brushed yarn, which gives more blended tones. 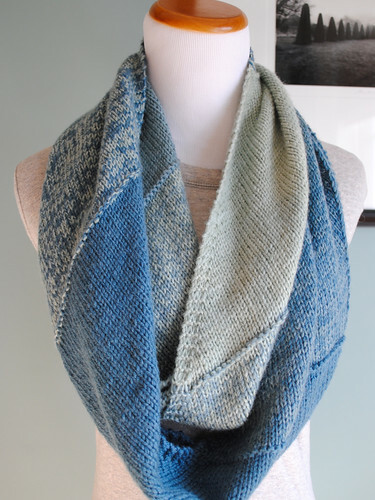 But many designers using marled knitting in other interesting ways; creating ombre/fade effects or combining marled and solid areas to emphasise shape and form. You can turn any regular pattern into a marled project if you can find two thinner strands of yarn that combine to give the same gauge as the original pattern. If you’re looking to convert a pattern, the conversion table below can be used as a starting point, butit’s really important to swatch because tension doesn’t always behave as expected with yarn held double. There are also a number of marled yarns available, constructed of strands (or ‘plies’) of two or more colours. These give a similar effect to holding two different colours of yarn together and take away the guess work in achieving the required tension. 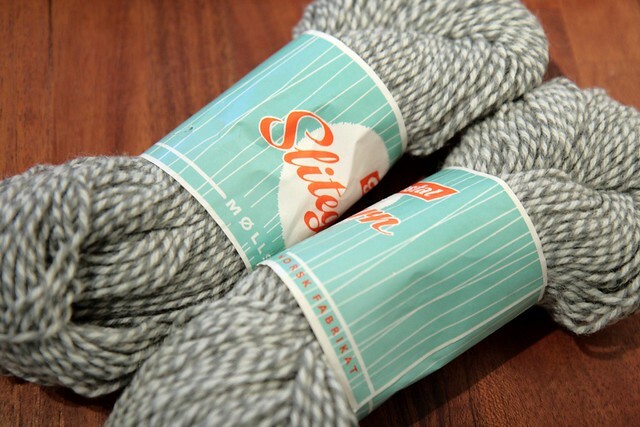 Traditional Scandinavian marled sock yarn plied from grey and white singles. 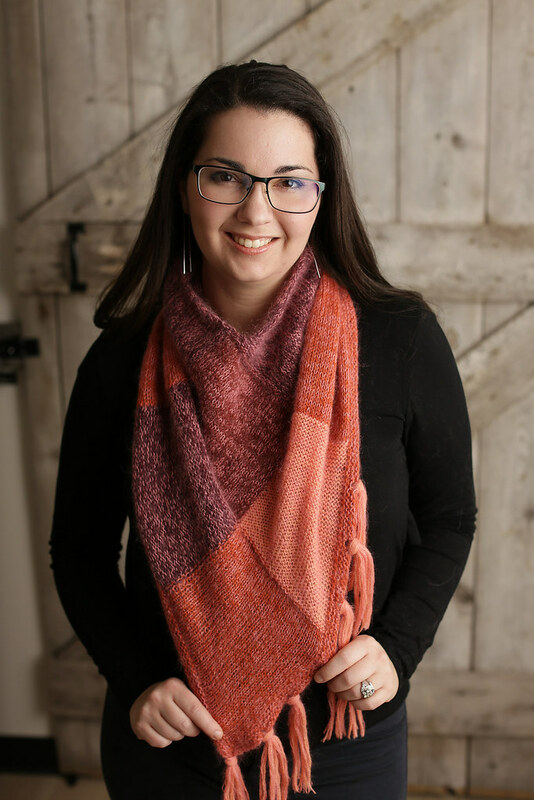 Marled Wave by Stephen West is an asymmetrical shawl in five colours for an ombre marled effect. 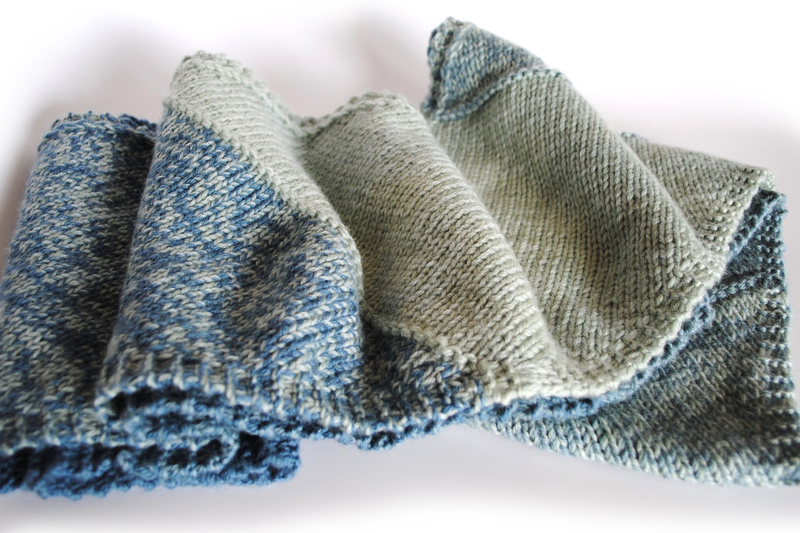 This is an easy project in simple stitches, and an ideal intro to marled knitting. 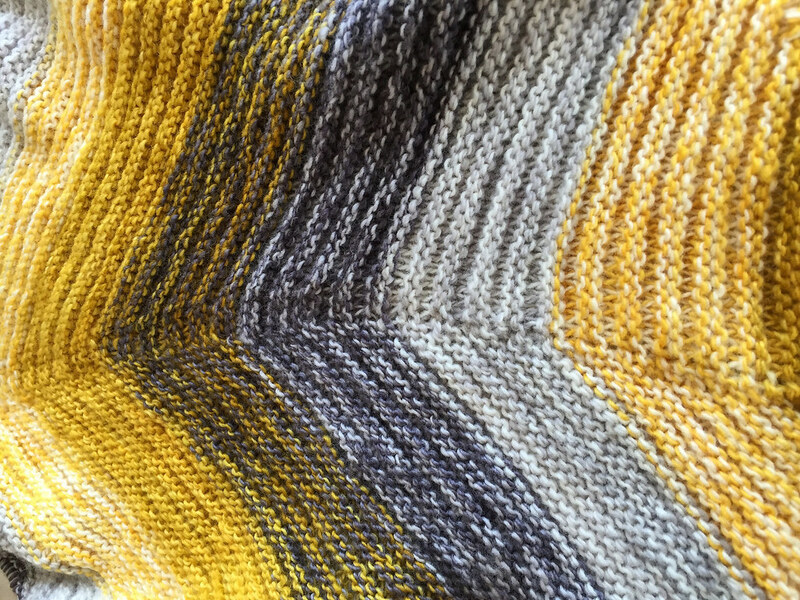 We love Ravelry user Gypsyusa‘s choice of yellow with neutral greys. Take a look at the project page to see the yarns used. Designer Alexis Winsow published a lovely capsule pattern collection called Speckled & Stone last year, which draws inspiration from textures and forms in painting and ceramics. Our favourite patterns from the collection, Dolo Mitts and Arno Pullover, both feature mottled marl textures and bold shapes. We love the combination of simple, modern design and the rustic texture of marled fabric. Both patterns are innovative in their construction and suit knitters with a bit of experience who are looking for an interesting knit. Seacliff Loop cowl by Ien Sie is another beautiful example of how marled blocks can be used to compliment form and soften a geometric design. This project by Ravelry user Stitchbot employs a neutral colour palette, creating subtle gradients. See the project page for yarn details. Remember Isager, the Danish yarn company we were lucky enough to meet at The Knitting & Stitching Show last year? This stylish project, Ghita Cowl, is from Helga Isager’s new collection, Room 606, which we were lucky enough to get a sneak preview of at the show. Isager yarns have a unique weight system and are designed to be worked held together, making them tailor made for marling. 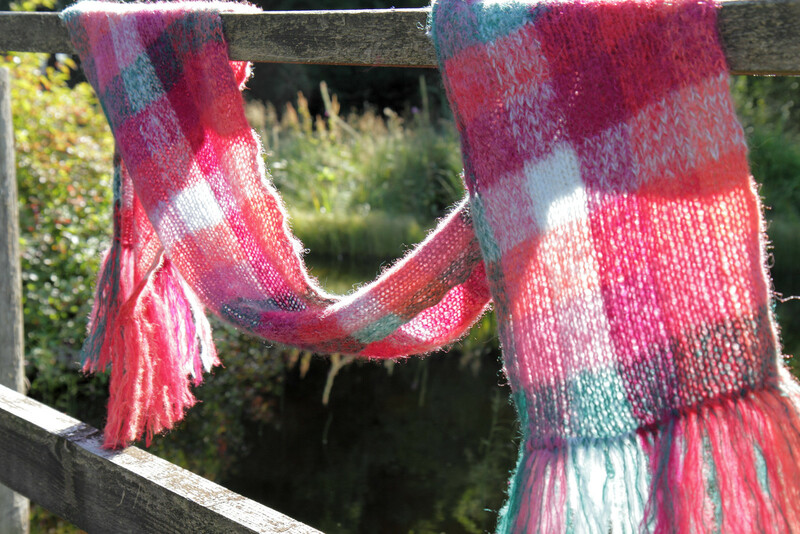 The project is available as a kit from Knitting Off Broadway in a number of colours. The version pictured in cosy, autumnal shades belongs to Natalie from Knitting Off Broadway, aka Knittily on Ravelry, a big fan of Isager yarn and patterns, who describes it as a fun knit that she’s had lots of wear from (view the project page). Introducing ‘Bud to Bloom’… two patterns and one amazing cause!